The Glacier Bay 30 inch x 24 inch mirrored cabinet features a Bi-view bevelled frameless door that can be installed with hinge. As functional as it is stylish, this cabinet opens almost flush to the wall and has 3 adjustable glass shelves for plenty of storage and a mirror on the front, on the inside and on the side. Easy to install with a hanging kit included, this cabinet can either be recessed or surface mounted and will provide years of use and enjoyment. Limited Lifetime Warranty. The Teagen medicine cabinet is the perfect accessory to pair with any of the vanities in the Teagen collection. This multi-functional piece includes 2 adjustable interior shelves behind a mirrored door. The Teagen medicine cabinet includes the Secure-Mount hanging system for easy installation. With mirrored surfaces inside and outside, this 16-inch frameless medicine cabinet helps you put your best face forward. The mirror on the front door features a beveled edge for enhanced style. Inside, adjustable glass shelves easily accommodate your toiletries. This version is for recessed installation only. 30-inch x 24-inch Recessed or Surface Mount Medicine Cabinet with Bi-View Beveled Mirror in Silver The Glacier Bay 30 inch x 24 inch mirrored cabinet features a Bi-view bevelled frameless door that can be installed with hinge. As functional as it is stylish, this cabinet opens almost flush to the wall and has 3 adjustable glass shelves for plenty of storage and a mirror on the front, on the inside and on the side. Easy to install with a hanging kit included, this cabinet can either be recessed or surface mounted and will provide years of use and enjoyment. Limited Lifetime Warranty. 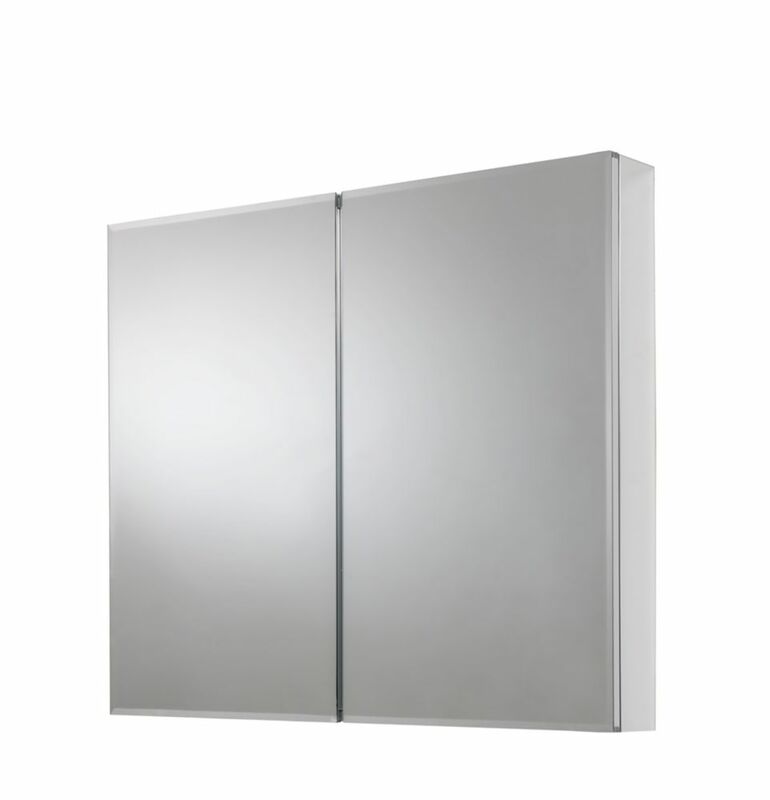 30-inch x 24-inch Recessed or Surface Mount Medicine Cabinet with Bi-View Beveled Mirror in Silver is rated 4.5 out of 5 by 2. Rated 5 out of 5 by Christine from Love this mirror. I bought this a couple of months ago. We recessed it in the wall. When you open the mirrored doors, the inside of the cabinet is also all mirrors. Great purchase! Rated 4 out of 5 by Nick v from Nice features and well built This comes ready to install. Installation is very straight forward. Unfortunate for me I had a pipe preventing me from recessing it into my wall... I believe in the wall I would have given it 5 stars. Surface mount was really quick to install... but the bottom bracket is pretty ugly. I Am hoping to come up with an alternative mount for this next week. Everything else is great- soft close hinges- unit comes pre assembled. Is it 4&quot; or 7&quot; deep? The overall depth of the mirror is 4.75&quot;. the depth for recess is 3-7/8&quot;. What is the dimensions you need inside the wall to install this cabinet? I had a contractor install it while renovating my washroom. &nbsp;So I don&rsquo;t know the dimensions. &nbsp;Sorry! Yes, this medicine cabinet can be recessed into the wall of your bathroom. Are the outer sides mirrored also like the other Glacier Bay mirrored cabinets? It's a bit hard to tell from just one generic pic of it. I'd like to see maybe 3-4 views of the cabinet. One open would be good. Yes, the outside is mirrored like the other Glacier Bay mirror cabinets. Are the doors and back of cabinet mirrored on the inside?